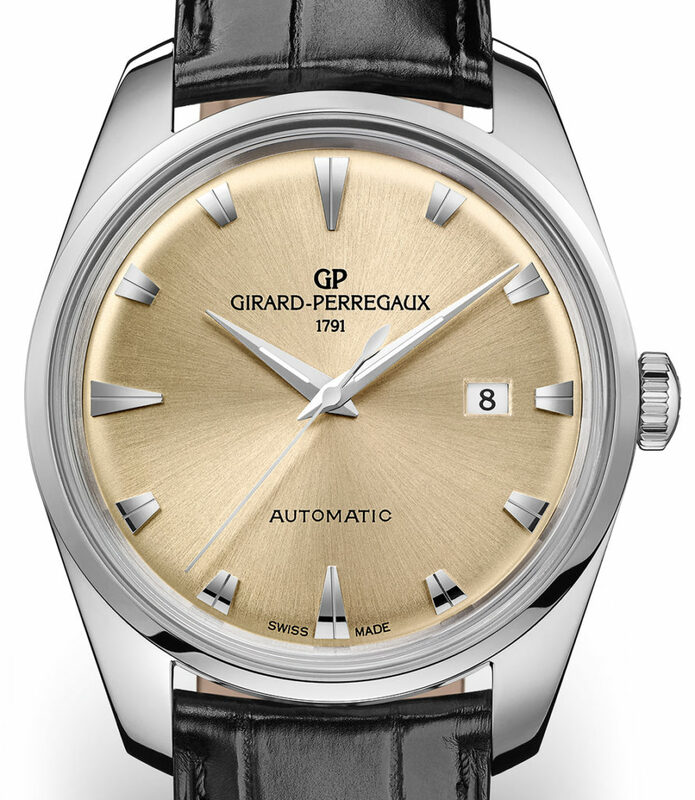 Let’s all wish Girard-Perregaux a happy 225th birthday and share a virtual cake, right along with a closer look at this beautiful tribute to the brand’s Gyromatic watches from the 1960s. 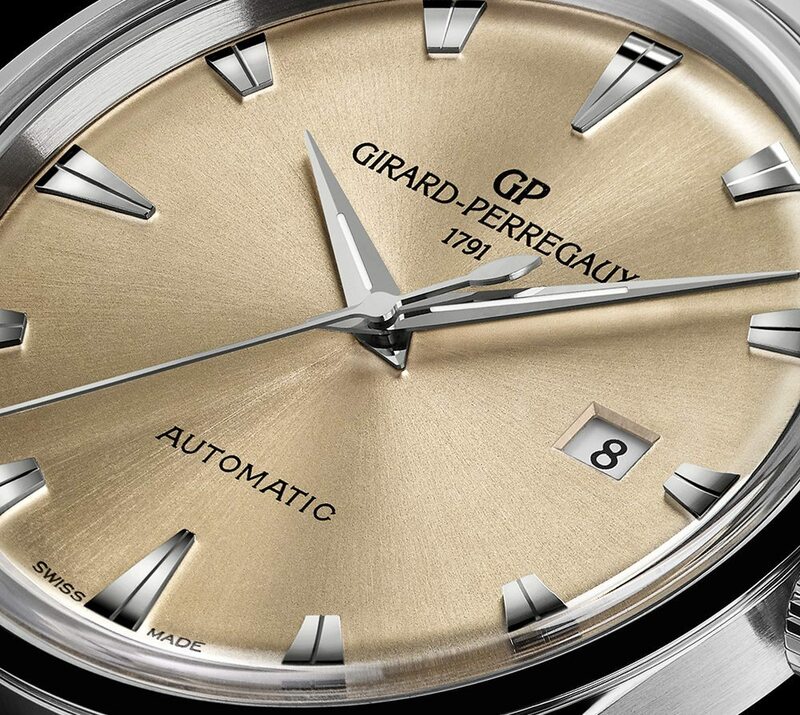 The Girard-Perregaux 1957 Gyromatic watch pays stylistic tribute to early models that used a technical solution by Girard-Perregaux to improve automatic winding efficiency from around the time when “self-winding” was the hot thing in watches. 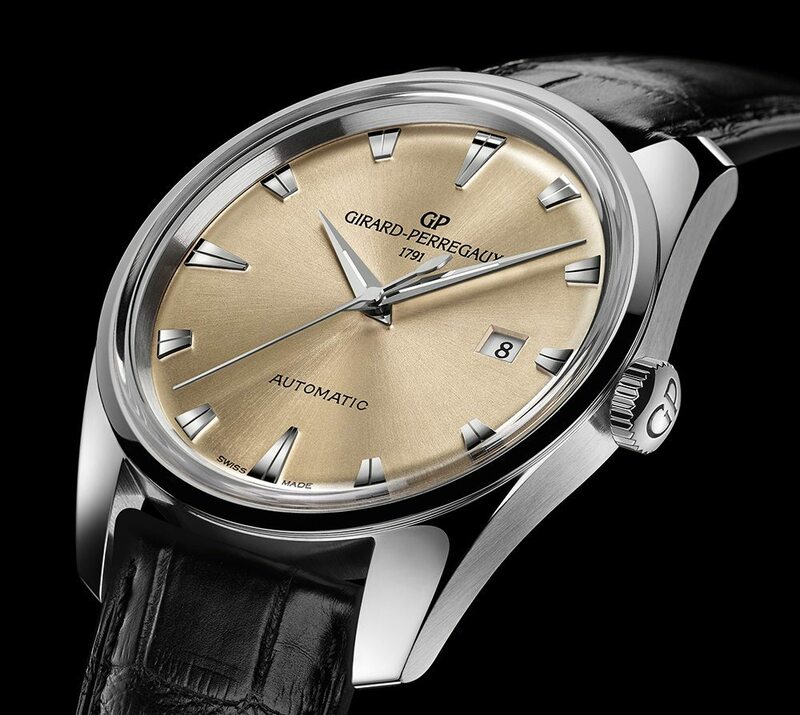 If you are a fan of simple, classically styled watches as I am, then you too will likely find the Girard-Perregaux 1957 Gyromatic an exciting visual treat. 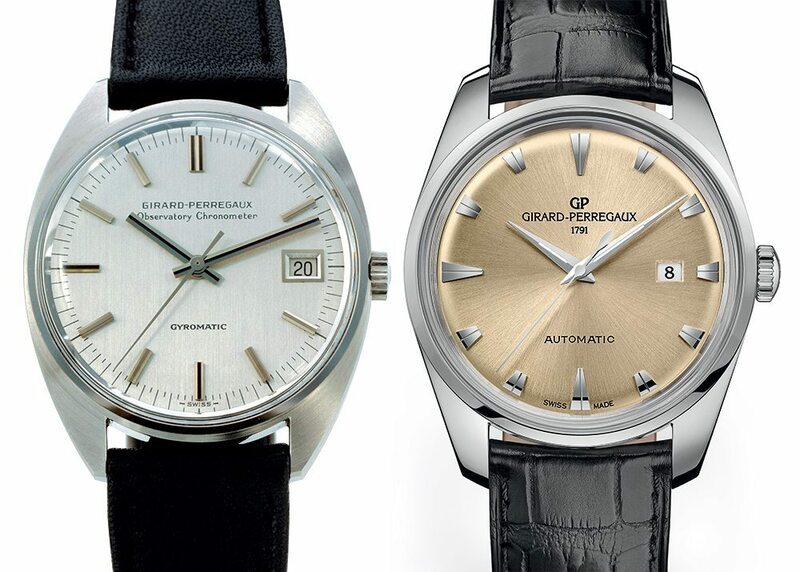 The above picture shows a Gyromatic watch from the ’60s alongside the new Girard-Perregaux 1957 Gyromatic model that was inspired by it. The comparison is for design and not for size since watches back then were much smaller than today. 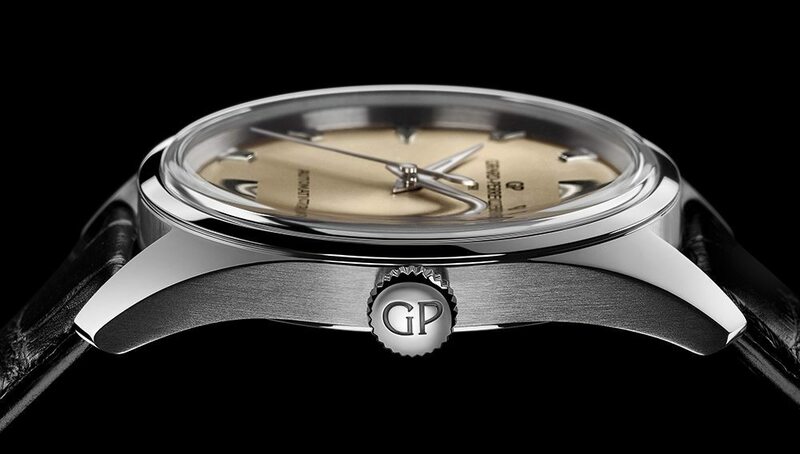 The 30-meter water-resistant steel Girard-Perregaux 1957 Gyromatic case measures 40mm wide, polished on top and brushed on the sides, while the some 50-year older model must have been at least a couple of millimeters smaller. 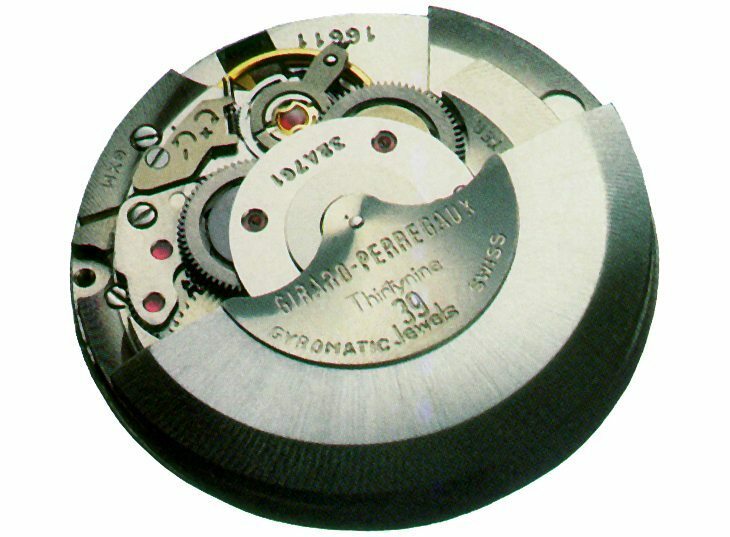 Part of the benefit of the Gyromatic system was that it was a more compact solution that allowed for slimmer cases, and the Girard-Perregaux 1957 Gyromatic is a reasonably slender 9.45mm thick. 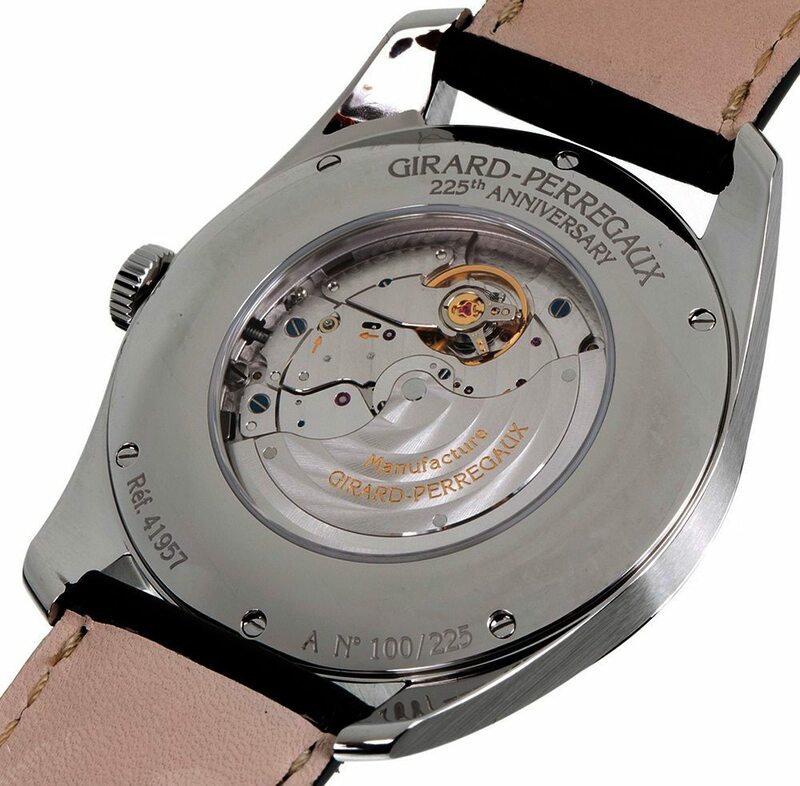 The movement inside the Girard-Perregaux 1957 Gyromatic is the in-house GP03300-0130 automatic movement that is on display through the sapphire crystal caseback. Made up of 218 parts the movement beats at a standard 4Hz with 46 hours of power reserve. While a simple movement and not elaborately decorated or skeletonized, the finishing itself is sure to be nicely done, featuring Geneva stripes and circular graining on the main plate and rotor. The brand brought back another model from around the same era this year with the Girard-Perregaux Laureato (hands-on here) that used a very similar GP03300-family movement. 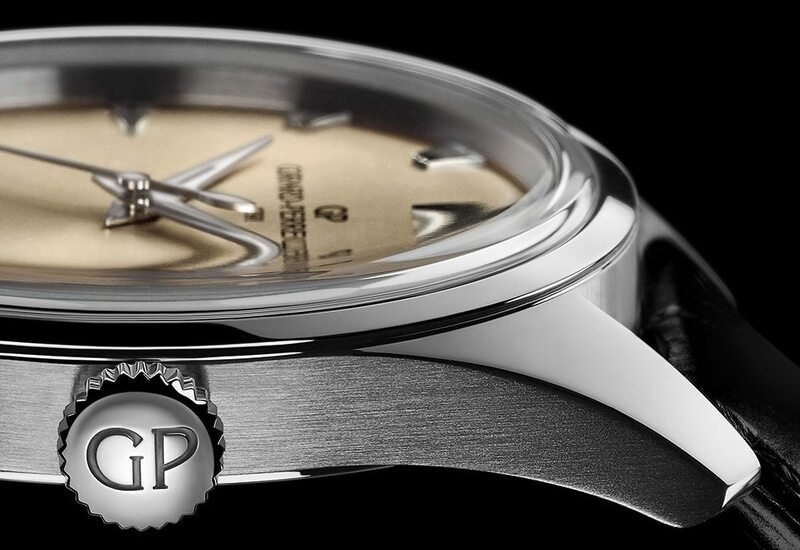 As in that watch, the Girard-Perregaux 1957 Gyromatic’s GP03300-0130 features three-hand time-telling and the date.